Over the past several weeks, as Alcoa and Century cut aluminum production nationwide, James Markus, a 23-year-veteran aluminum worker, acutely felt the pain of those laid off. That’s because just two years ago, in October of 2013, Markus and 750 fellow aluminum workers lost their jobs at Ormet when the Hannibal, Ohio, smelter closed. He struggled for a year to retrain and get new work, and witnessed friends and acquaintances foundering. Now he’s confronted with the images of thousands more aluminum workers and their families facing those same hard times. What makes it all worse is that it’s unnecessary. The shutdowns, production curtailments and layoffs could have been averted. The American aluminum industry needed help, which it didn’t get. The industry is desperate for relief from a flood of illegally subsidized aluminum imports from China. Many American aluminum workers like Markus would still be employed if the United States proactively enforced international trade regulations and if U.S. law permitted trade sanctions before companies and workers suffer terrible losses. Markus is bitter that federal officials did not intervene to save Ormet. “Many politicians on the national level in this country have turned a deaf ear and blind eye toward working people,” he said. Five months after Ormet closed, Alcoa shuttered its Massena East Plant in New York. But hope remained because Alcoa said it planned a $600 million modernization that would restore work there. Seven months after that, in October of 2014, Sherwin Alumina locked 450 members of the United Steelworkers (USW) union out of its Gregory, Texas, plant. It’s now operating at a severely diminished capacity with no incentive to restore the USW workers and full production while artificially cheap Chinese aluminum overwhelms the U.S. market. Eight months later, in July of 2015, Century said it would never reopen its Ravenswood plant in West Virginia. That meant none of the 650 workers who lost their jobs when it closed in 2009 could ever return to work there. The following month, Century reported that it would idle its Hawesville, Ky., aluminum plant, costing 565 workers their family supporting jobs. Last month, Century said that by year’s end, it would cut a third of its aluminum production at its Sebree, Ky., plant, throwing 150 workers out of their jobs and that it may close its Mt. Holly, S.C., aluminum smelter, putting 600 workers on the street. Then, early this month Alcoa announced 1,500 of its workers would lose their paychecks because it was closing or cutting production at three smelters. Two are in Washington state and the third is Massena West in New York. In addition, Alcoa said it would permanently close the Massena East plant, dashing hopes for modernization and restoration of jobs. While these American workers suffer, China subsidizes its aluminum industry to protect its citizens from job loss. International law forbids export of government-subsidized products because their artificially low prices would warp the market in the receiving country and damage industry there. But market analysts and Century officials say that is exactly what China is doing. The financial securities firm Nomura reported that Chinese aluminum producers benefit from opaque tax credits or cheap loans made by local governments on the condition that the companies sustain production and employment. In a market where aluminum prices are hovering just above a six-year low, China has raised capacity, production and exports. 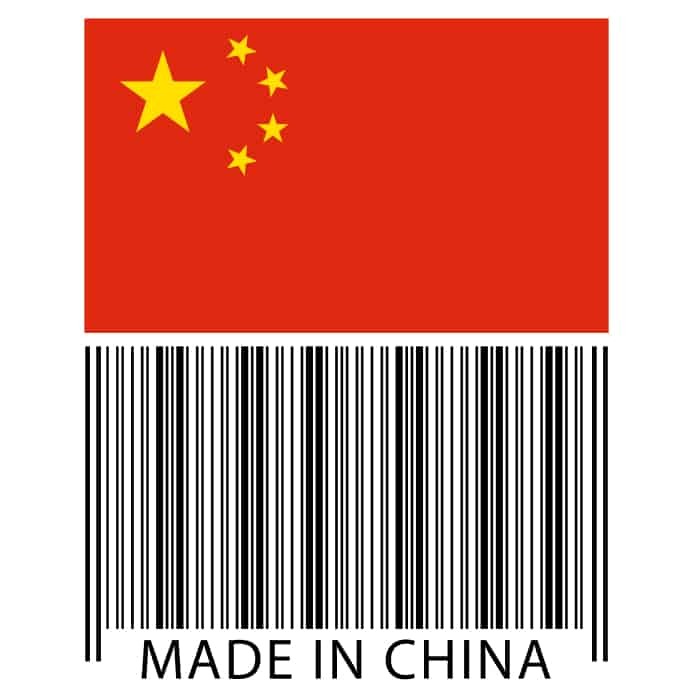 China increased production 18 percent year-to-date and increased exports by 14.4 percent. This has contributed to the low prices. And the low prices triggered the American shutdowns. China has seized ever-increasing portions of the global market since the turn of the century, when its production accounted for 11 percent. Now, China produces half of the world’s aluminum, and it’s not stopping. Already this year it added 3 million tons to its annual smelting capacity and may add another million tons before year’s end. While American producers close. To block China from dumping its illegally subsidized aluminum into the U.S. market, Century and the USW are working together in the China Trade Taskforce. It is asking the Office of the U.S. Trade Representative to investigate reports of misclassified Chinese aluminum exports evading U.S. import duties and illegally subsidized Chinese exports. The group is simply asking the U.S. government to enforce international trade law, which would preserve the American industry and American jobs. Markus, who was 55 when he lost his job at Ormet, does not understand why trade officials haven’t intervened already. Too many workers, too many families have suffered. When Monroe County, Ohio, lost Ormet, which had been its largest employer, nothing filled the void. Markus saw the region’s economy fade. Small businesses on both sides of the Ohio River near the plant shut down. And, he noted, the people who had owned or worked in those shops lost their jobs, too. This is the legacy of bad trade and badly enforced trade laws.